"An epic tale with considerable writer’s freedom that makes the book wholly entertaining." Erudite and entertaining, this eminently enjoyable epic poem is a wonderful blend of the classic and contemporary in both style and vernacular. Written in the manner of Shakespearean sonnets, it is easily accessible and does not require a greatwell knowledge of American politics to understand. A good blend of historical and religious characters will provide a stark look at some of the atrocities of our age while offering solutions from sages of the past. At timeslines and intelligent observations throughout. I certainly recommend this short and worthwhile read. The handsome actor/former journalist/religion correspondent/author Abdiel LeRoy is a British-American whose life is largely inspired by the Bible, Shakespeare, and the great epic poem, 'Paradise Lost'. As a poet Abdiel embraces giant tasks – the lives of Elijah, Obama, Bush, and Trump in his VERSES VERSUS EMPIRE series, as well as fascinating historical novels and culinary guides. He also has worked as a broadcaster, financial analyst, and market commentator, while his passions also include Argentine Tango, Yoga, and competitive swimming. His voice both as a narrator for dramatic readings and on stage is being recognized as a brave new presence in the politics of the globe. 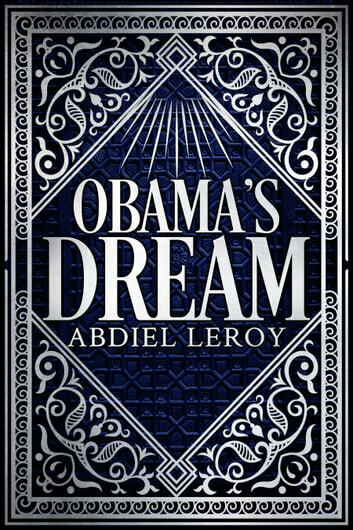 In this book, OBAMA’S DREAM – Book 1 of his Epic Poetry series, Abdiel offers a new view of the life of Barack Obama and its impact on the world – or as the poet phrases his ‘Apology’ concept on recording the audio version of this book, ‘With my recital of this epic book, I pray your kindnesses shall overlook Shortcomings and rendition imperfect. Of course, God speaks the British dialect As everybody knows, the angels too! It even works for Satan, and who knew Plato speaks the Queen’s English, though a Greek? But with the American characters, do not seek Authentic imitation of each note, I but the spirit of their speech denote. Even the title character forgive — Suspend your disbelief, the role shall live. With all that said, I hope hereby to bring A wondrous journey on imagined wing.’ What follows, in simple rhyming couplet format, is an epic tale with considerable writer’s freedom that makes the book wholly entertaining. An example follows: A Seraph’s Ministry One of the four mighty beings cleanses Obama’s lips with a coal taken from the temple altar, and then assumes a man-like shape. Now bursts Obama’s heart, he weeps, tears stored In Heaven’s scroll. A seraph to console With lightning motion swoops the fire toward, Takes hold of tongs and with their help a coal. The man he touches on the mouth with this. “See, this has touched your lips; your guilt is gone!” That touch of Grace, unmerited favour’s kiss, Sets free the man’s troubled conscience therefrom. For even as Obama’s eyes poured out Tears to God, His Advocate on high, His Intercessor, Witness, Friend devout, Pleaded with God, Mercy to gain thereby. Rejoicing in his heart, he turns to thank The luminescent being stood before So swift alighted from the seraph rank, A man-like guise now on that temple floor. Obama gasps, for Abdiel stands with him, Shapeshifted from angelic form — a nod, A smile, an ally in the seraphim! The man’s heart is aglow with thanks to God. 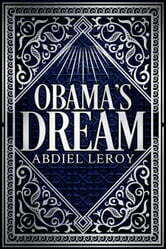 Read one of Abdiel LeRoy’s books and more than likely you’ll reach for the others!